Fujita, T., Kitaura, F., Yuno, M., Suzuki, Y., Sugano, S. and Fujii, H. (2017). Locus-specific ChIP combined with NGS analysis reveals genomic regulatory regions that physically interact with the Pax5 promoter in a chicken B cell line. DNA Res 24(5): 537-548. Fujita, T., Yuno, M., Suzuki, Y., Sugano, S. and Fujii, H. (2017). Identification of physical interactions between genomic regions by enChIP-Seq. Genes Cells 22(6): 506-520. Fujita, T. and Fujii, H. (2016). Biochemical Analysis of Genome Functions Using Locus-Specific Chromatin Immunoprecipitation Technologies. Gene Regul Syst Bio 10(Suppl 1): 1-9. Fujita, T., Yuno, M. and Fujii, H. (2016). Allele-specific locus binding and genome editing by CRISPR at the p16INK4a locus. Sci Rep 6: 30485. Fujita, T., Yuno, M. and Fujii, H. (2016). Efficient sequence-specific isolation of DNA fragments and chromatin by in vitro enChIP technology using recombinant CRISPR ribonucleoproteins. Genes Cells 21(4): 370-377. Fujita, T. and Fujii, H. (2015). Isolation of specific genomic regions and identification of associated molecules by engineered DNA-binding molecule-mediated chromatin immunoprecipitation (enChIP) using CRISPR. Methods Mol Biol 1288: 43-52. Fujita, T. and Fujii, H. (2015). 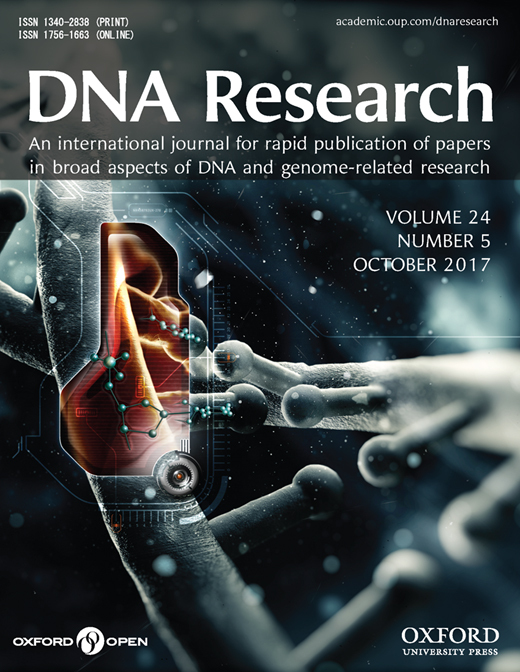 Applications of Engineered DNA-Binding Molecules Such as TAL Proteins and the CRISPR/Cas System in Biology Research. Int J Mol Sci 16(10): 23143-23164. Fujita, T., Yuno, M., Okuzaki, D., Ohki, R. and Fujii, H. (2015). Identification of non-coding RNAs associated with telomeres using a combination of enChIP and RNA sequencing. 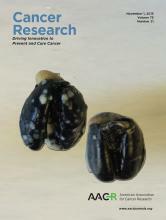 PLoS One 10(4): e0123387. Fujita, T., Kitaura, F. and Fujii, H. (2015). A critical role of the Thy28-MYH9 axis in B cell-specific expression of the Pax5 gene in chicken B cells. PLoS One 10(1): e0116579. Fujita, T. and Fujii, H. (2014). Efficient isolation of specific genomic regions retaining molecular interactions by the iChIP system using recombinant exogenous DNA-binding proteins. BMC Mol Biol 15: 26. Tanigawa, N., Fujita, T. and Fujii, H. (2014). Oligoribonucleotide (ORN) interference-PCR (ORNi-PCR): a simple method for suppressing PCR amplification of specific DNA sequences using ORNs. PLoS One 9(11): e113345. Fujita, T. and Fujii, H. (2014). Identification of proteins associated with an IFNgamma-responsive promoter by a retroviral expression system for enChIP using CRISPR. PLoS One 9(7): e103084. Fujita, T. and Fujii, H. (2013). Locus-specific biochemical epigenetics/chromatin biochemistry by insertional chromatin immunoprecipitation. ISRN Biochem 2013: 913273. Fujita, T., Asano, Y., Ohtsuka, J., Takada, Y., Saito, K., Ohki, R. and Fujii, H. (2013). Identification of telomere-associated molecules by engineered DNA-binding molecule-mediated chromatin immunoprecipitation (enChIP). Sci Rep 3: 3171. Fujita, T. and Fujii, H. (2013). Efficient isolation of specific genomic regions and identification of associated proteins by engineered DNA-binding molecule-mediated chromatin immunoprecipitation (enChIP) using CRISPR. Biochem Biophys Res Commun 439(1): 132-136. Fujita, T. and Fujii, H. (2012). Efficient isolation of specific genomic regions by insertional chromatin immunoprecipitation (iChIP) with a second-generation tagged LexA DNA-binding domain. Advances in Bioscience & Biotechnology 3(5). Fujita, T. and Fujii, H. (2012). Transcription start sites and usage of the first exon of mouse Foxp3 gene. Mol Biol Rep 39(10): 9613-9619. Fujita, T. and Fujii, H. (2011). Direct identification of insulator components by insertional chromatin immunoprecipitation. PLoS One 6(10): e26109. Fujita, T. and Fujii, H. (2011). Species-specific 5'-genomic structure and multiple transcription start sites in the chicken Pax5 gene. Gene 477(1-2): 24-31. Fujita, T., Piuz, I. and Schlegel, W. (2010). Transcription elongation factors are involved in programming hormone production in pituitary neuroendocrine GH4C1 cells. Mol Cell Endocrinol 319(1-2): 63-70. Yamazaki, T., Walchli, S., Fujita, T., Ryser, S., Hoshijima, M., Schlegel, W., Kuroda, S. and Maturana, A. D. (2010). Splice variants of enigma homolog, differentially expressed during heart development, promote or prevent hypertrophy. Cardiovasc Res 86(3): 374-382. Maturana, A. D., Fujita, T. and Kuroda, S. (2010). Functions of fasciculation and elongation protein zeta-1 (FEZ1) in the brain. ScientificWorldJournal 10: 1646-1654. Fujita, T. and Schlegel, W. (2010). Promoter-proximal pausing of RNA polymerase II: an opportunity to regulate gene transcription. J Recept Signal Transduct Res 30(1): 31-42. Fujita, T., Piuz, I. and Schlegel, W. (2009). The transcription elongation factors NELF, DSIF and P-TEFb control constitutive transcription in a gene-specific manner. FEBS Lett 583(17): 2893-2898. Fujita, T., Piuz, I. and Schlegel, W. (2009). Negative elongation factor NELF controls transcription of immediate early genes in a stimulus-specific manner. Exp Cell Res 315(2): 274-284. Charital, Y. M., van Haasteren, G., Massiha, A., Schlegel, W. and Fujita, T. (2009). A functional NF-kappaB enhancer element in the first intron contributes to the control of c-fos transcription. Gene 430(1-2): 116-122. Fujita, T., Ryser, S., Piuz, I. and Schlegel, W. (2008). Up-regulation of P-TEFb by the MEK1-extracellular signal-regulated kinase signaling pathway contributes to stimulated transcription elongation of immediate early genes in neuroendocrine cells. Mol Cell Biol 28(5): 1630-1643. Fujita, T., Maturana, A. D., Ikuta, J., Hamada, J., Walchli, S., Suzuki, T., Sawa, H., Wooten, M. W., Okajima, T., Tatematsu, K., Tanizawa, K. and Kuroda, S. (2007). Axonal guidance protein FEZ1 associates with tubulin and kinesin motor protein to transport mitochondria in neurites of NGF-stimulated PC12 cells. Biochem Biophys Res Commun 361(3): 605-610. Ikuta, J., Maturana, A., Fujita, T., Okajima, T., Tatematsu, K., Tanizawa, K. and Kuroda, S. (2007). Fasciculation and elongation protein zeta-1 (FEZ1) participates in the polarization of hippocampal neuron by controlling the mitochondrial motility. Biochem Biophys Res Commun 353(1): 127-132. Fujita, T., Ryser, S., Tortola, S., Piuz, I. and Schlegel, W. (2007). Gene-specific recruitment of positive and negative elongation factors during stimulated transcription of the MKP-1 gene in neuroendocrine cells. Nucleic Acids Res 35(3): 1007-1017. Ryser, S., Fujita, T., Tortola, S., Piuz, I. and Schlegel, W. (2007). The rate of c-fos transcription in vivo is continuously regulated at the level of elongation by dynamic stimulus-coupled recruitment of positive transcription elongation factor b. J Biol Chem 282(7): 5075-5084. Suzuki, T., Okada, Y., Semba, S., Orba, Y., Yamanouchi, S., Endo, S., Tanaka, S., Fujita, T., Kuroda, S., Nagashima, K. and Sawa, H. (2005). Identification of FEZ1 as a protein that interacts with JC virus agnoprotein and microtubules: role of agnoprotein-induced dissociation of FEZ1 from microtubules in viral propagation. J Biol Chem 280(26): 24948-24956. Fujita, T., Ikuta, J., Hamada, J., Okajima, T., Tatematsu, K., Tanizawa, K. and Kuroda, S. (2004). Identification of a tissue-non-specific homologue of axonal fasciculation and elongation protein zeta-1. Biochem Biophys Res Commun 313(3): 738-744. Fujita, T., Ikuta, J., Maturana, A., Okajima, T., Tatematsu, K., Tanizawa, K., and Kuroda, S. (2004). UNC-76/FEZ family is essential for axonal guidance. Recent Res. Devel. Biophys. Biochem. 4, 313-320. Miyoshi, K., Honda, A., Baba, K., Taniguchi, M., Oono, K., Fujita, T., Kuroda, S., Katayama, T. and Tohyama, M. (2003). Disrupted-In-Schizophrenia 1, a candidate gene for schizophrenia, participates in neurite outgrowth. Mol Psychiatry 8(7): 685-694.